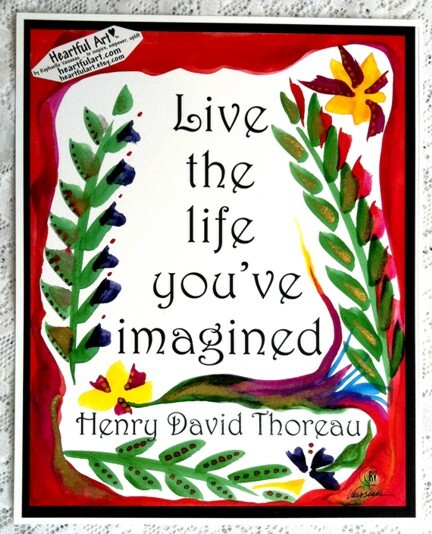 HENRY DAVID THOREAU's inspirational saying "Live the life you've imagined" as an 11 x 14 poster with art by Raphaella Vaisseau. Enjoy every day. Advance confidently. Discover something new. Follow your dreams.